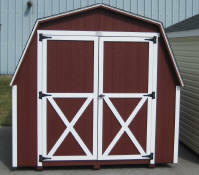 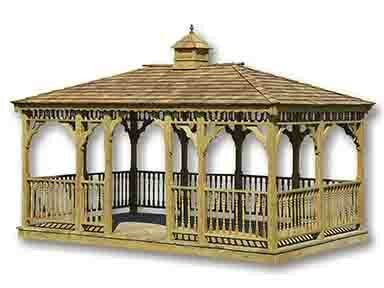 Quaker Garden Sheds are a favorite with their distinctive offset roof line. 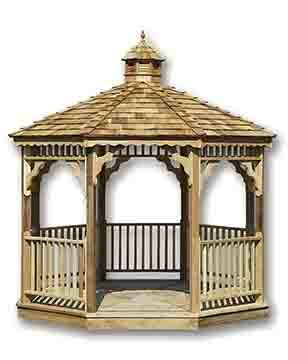 The saltbox pattern is simple in design yet pleasing to the eye. 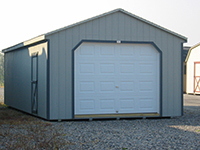 The larger overhang above the doors offers some welcomed protection from the rain. 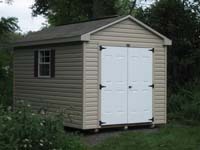 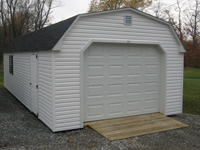 Quaker Storage Sheds include two windows, and a double door.